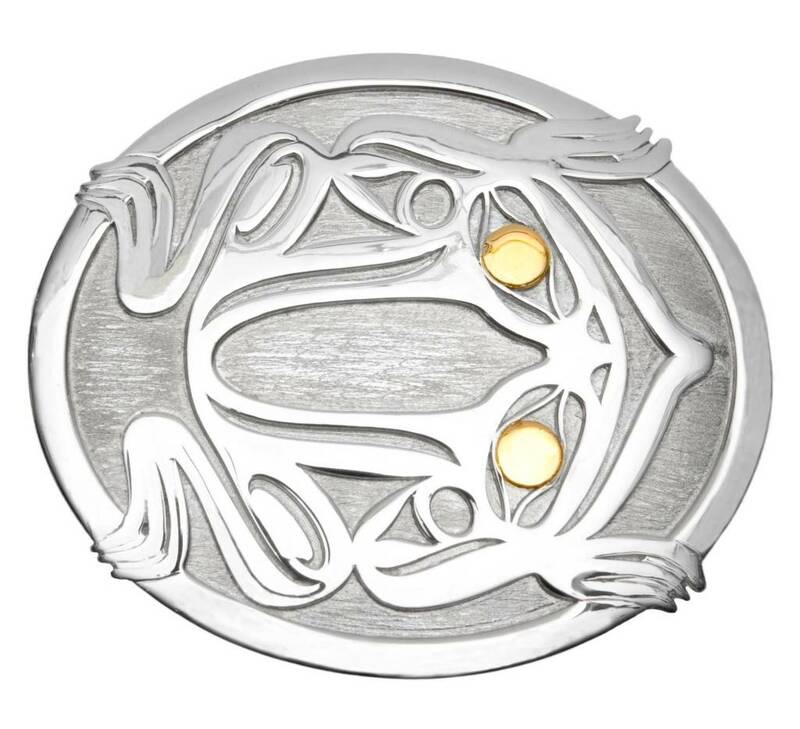 Home / Frog Belt Buckle by Grant Pauls (Tahltan). 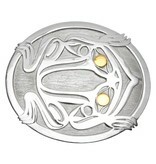 Frog Belt Buckle by Grant Pauls (Tahltan). 3" by 2 1/2". Silver on silver with 14 kt gold eyes. Hand made. Grant Pauls is of the Tahltan Nation. Studied with renowned Carver Terrence Campbell. Works with Silver and Gold hand carving as well as casted work. Currently resides in the Vancouver are. Has many skills in economics and community development.